love rock, pop, ballads and mood music." The Honeycombs - a super site for the re-formed hit '60s group. Check out their new catchy song "Solid Gold," with its skilfully recreated retro sound; biog, photos, tour details and much more. Artisten.Info. Künstler Datenbank mit News und Katalog. 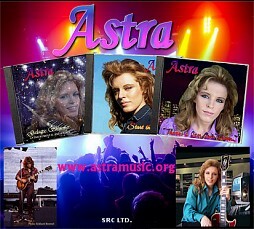 © COPYRIGHTS to all materials, written, audio, video and pictorial, on this website, held variously and/or jointly by The Owners, ASTRA and/or SCORPIO RECORDING COMPANY, LTD.
held variously and/or jointly by The Owners, ASTRA and/or SRC, LTD.